This is a highlight of our trip to Alaska last summer. We went on an eight day cruise with Norwegian Cruise Lines, which ended up being another family-friendly itinerary planned by Kelly at Family Travel. 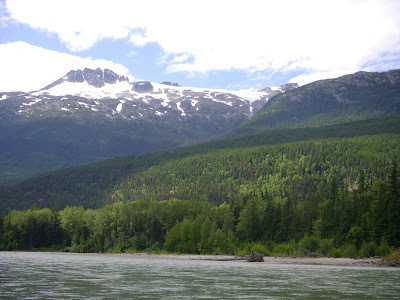 These are some photos of the "Hike and Float" tour out of Skagway. A two hour hike through the forest, followed by a 1/2 hour float along a pristine river with eagles bordering the edge. Quite unbeatable! Hats off to Delicious Baby for sponsoring Photo Friday, it helps keep that travel gene alive! I'm with Peace. I couldn't even think about going to AK right now - waaaay tooooo brrrrrr. Great Photos! Alaska is one of my dream vacations. It looks gorgeous! It looks beautiful - I'd love to get to Alaska sometime! 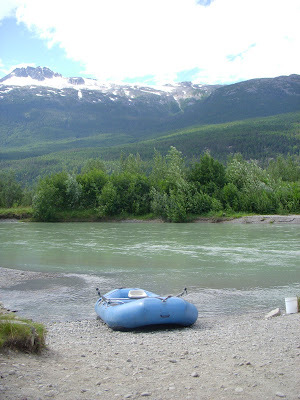 River rafting is the best! Can't wait until my kids are old enough to enjoy it. 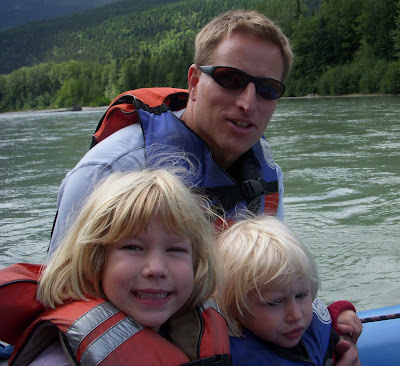 I'm kind of afraid of water, but that doesn't stop me from the occasional rafting/canoeing trip. Looks beautiful! Traveling to Alaska really was a dream come true for us. It's been nearly 9 years now, and I'm itching to go back. My Mukor and I went to Alaska before kids for our 5th anniversary. We did the kayak tour. The best part was the return trip going against the increasing tide. It was a blast though.